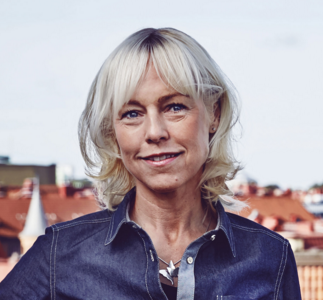 Meetings attracts research, talent and decision makers to Gothenburg. To contribute to the further positive development of the city as a meeting destination, Gothenburg Convention Bureau works by the mission to promote and sell the destination Gothenburg primarily to decision makers of international scientific, political and larger incentive meetings. Gothenburg will be a leading global destination for sustainable meetings. The Meetings business area at Göteborg & Co also goes under the internationally recognised name of Gothenburg Convention Bureau. What does a Convention Bureau do? A Convention Bureau (CVB) takes a strategic approach to destination development in a specific location by promoting meetings. A CVB contributes to the destination’s brand and its long-term growth. A large part of the work of a CVB involves encouraging and supporting local individuals to submit bids and attract national and international meetings to the location. CVBs also have the task of helping municipalities, universities, authorities and other organisations to highlight their activities and the destination in which they operate, through meetings. Another very important part of the work of a CVB is to clarify the values of the destination and encourage more people to promote it as a destination for meetings. A convention bureau provides these services free of charge. Gothenburg Convention Bureau markets and sells Gothenburg as a destination, primarily to international scientific gatherings, political meetings and large corporate meetings. In addition to promoting growth and highlighting research, innovation and business in the city, the meetings industry also makes Gothenburg a more attractive place to study, work and invest in. Gothenburg Convention Bureau is committed to developing forums where the public sector, industry and academia can meet and agree on joint action that benefits the meetings industry. Gothenburg is the most sustainable meeting destination in the world according to the Global Destination Sustainability Index 2016, 2017 and 2018. The entire city takes a focused approach on issues relating to sustainability; both environmentally, socially and economically. The environmental diploma scheme is another important part of the sustainability efforts of Gothenburg Convention Bureau. Read more about the sustainability efforts at goteborg.com/convention-bureau. Welcome to Gothenburg Convention Bureau. Read more about our offer here.